This is part two in the Race, Revolt, and Piracy series on the slave ships Jenny and Rose. You can find part one here. Like the Jenny, the Rose was a Liverpool based slaver sailing into a worldwide conflict. Captained by William Stevenson, Rose was bound out at a time of great strife in the British war effort. Jenny faced danger, but her crew could at least comfort themselves with knowing the Seven Years War was going their way. 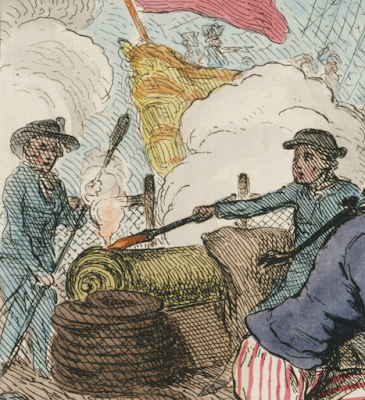 Victories ashore and afloat seemed to have little effect on the overall course of the American Revolutionary War, which was entering its waning years. 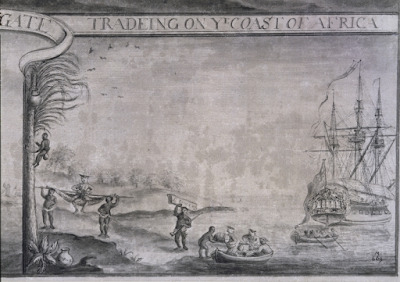 Stevenson still had to turn a profit for the ship's owner, Joseph Caton, and so steered her to Cape Coast Castle. 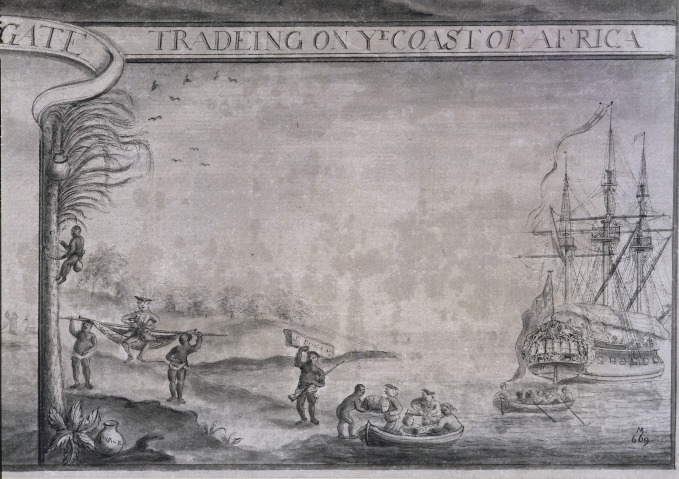 Here they embarked 250 enslaved people and set course for Kingston, Jamaica. Nicholas Pocock, date unknown, Bristol Museums. Stevenson sailed for forty seven days without incident, but on April 15, 1781, off the southeast end of Jamaica, was attacked by a French privateer. She was the Mould, a fourteen gun sloop out of Cape Nichola Mole in Haiti, crewed by eighty five men. Exchanging broadsides and small arms fire, the Mould and Rose went shot for shot, "but her intention was for boarding us ; he at last came up on our starboard quarter, with a stink-pot fast to the end of his gaff." As with the Jenny, Stevenson armed the enslaved men aboard his ship, and it proved to be a decisive move in the battle: "one of the Trantree slaves shot [the stink pot] away with his musket." Even without the noxious cover of the stink pot's fumes and fire, the Mould grappled the Rose and for over an hour the two vessels slugged it out. Three times over the course of the battle the after half of the Rose caught fire when "the Frenchmen hove such a large quantity of powder flasks on board." After losing his shirt to the flames, Captain Stevenson's shoulder was shot clean through by a musket ball. 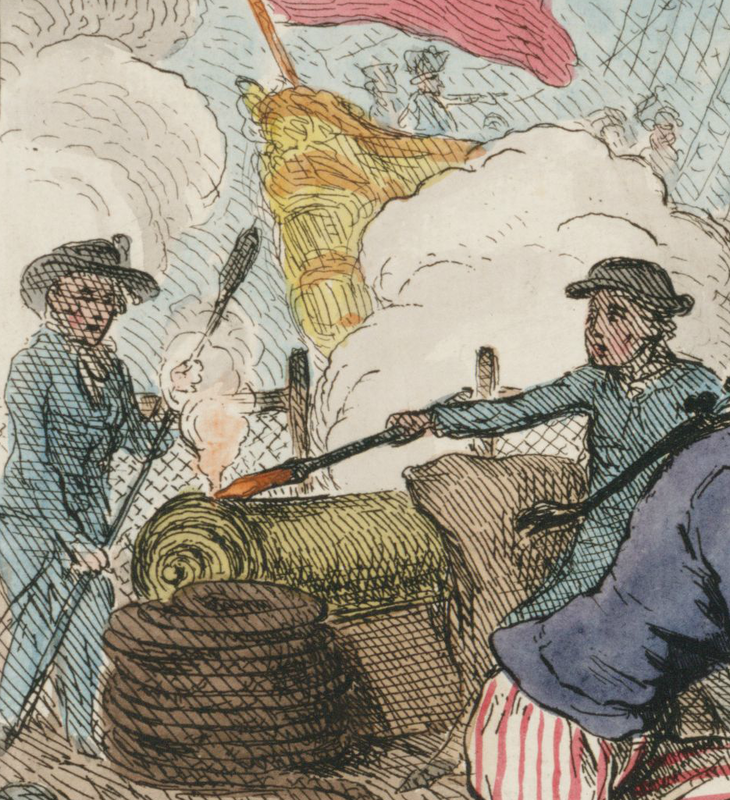 The battle was a desperate one, with the slaves and sailors of the Rose throwing "half-pikes, boathooks, boat-oars, steering-sail yards, fire-wood, and slack-ballast...amongst the Frenchmen." At last, the Mould swung away back to Haiti, leaving the Rose to sail safely into Kingston the following day. The fight was a deadly one. Aside from Captain Stevenson's wound, a white man named Peter Cane was killed, an enslaved man mortally wounded, and eleven wounded men, six of whom were enslaved. Stevenson's account implies that they were particularly subject to wounding from the fires that struck the Rose "having no trowsers on them." Next time: The rewards for defending a slave ship. Slave Voyages Database, slavevoyages.org, Voyage Identification Number 83406, Accessed 12/16/2016. London Chronicle, July 10-12, pages 1-2.